Hickleys are pleased to be the chosen Auto Locksmith training and equipment supplier to the Lockforce group. Our nationally accredited training course and market leading products offer excellent skills and top quality equipment to anyone considering a bright future in the Lockforce franchise. 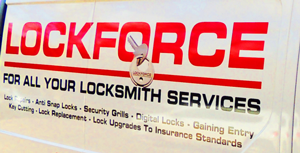 You can view details of the the franchise prospectus on the Lockforce Website.